8 months old. Where is the time going. 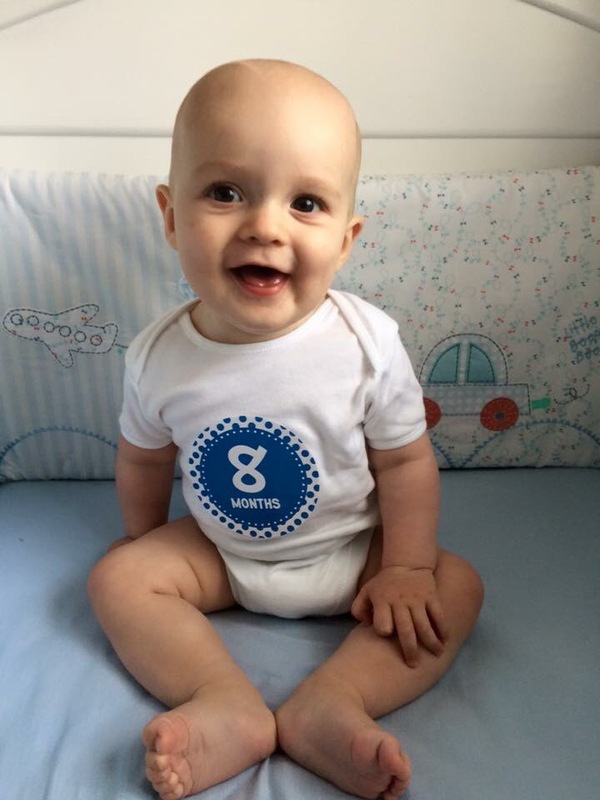 It only feels like yesterday I was writing Archie’s 7 month update!! Archie now weighs 17lbs 14oz and boy don’t I know it. He has only put on just under a pound since last month but it feels like a stone. He has suddenly filled out a bit more and feels like a solid weight now. He’s still eating exactly the same as the last two months, 3 7oz bottles and 3 meals, with the additional snack now. This month has been a whirlwind. Archie seems to of become a little boy over night. Not only has he started crawling, he’s pulling himself up to stand! How is it possible my little munchkin is growing so fast!? He even said his first word this month “Dada”. Mummy’s yet to work on “Mama” yet. We celebrated Archie’s first Halloween this month and we went pumpkin picking and trick or treating to our family and friends. Callum had a week off which we packed full with lots of park visits, beach walks, chistmas shopping and family movie days. And to top it off I GOT A JOB!! I’ve mixed emotions about this. I’m excited yet petrified at the same time. Congratulations on getting a job. Where are you going to work.